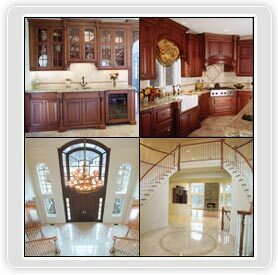 CRC Communities, Inc. - leading real estate developers and builders in New Jersey. – CRC Communities, Inc. Announces a new development of 7 single family homes located in Warren NJ. Brookside Estates is harbored by a quiet cul-de-sac street just minutes from the center of prestigious Warren Township in Somerset County. These homes will range from 4,500 - 6,500 sf. on lots ranging from 1.5 acres to 7 acres. Please contact CRC Communities for further information on this exclusive offering. When you build a home with CRC Communities, Inc. you are not only getting world-class craftsmanship and detail, you are also getting the peace of mind that comes with knowing that we understand the importance of getting exactly what you want in a new home. Our skilled team of sales people, designers and craftsmen guide you through the process of building your new home, step by step, and making a CRC Communities home the home of your dreams. Phase 1 of this luxurious community is currently 50% sold. This elegant community of luxury town homes sits in a quiet cul-de-sac setting. The Villas are within walking distance of the NJ Transit train station, restaurants and shopping as well as just a short train ride away from NYC and numerous other metropolitan areas that offer shopping, restaurants and many other attractions. With its convenient interior features, including optional elevators, as well as its colonial charm, The Villas at Murray Hill are sure to attract the eye of the discerning home buyer and offer a rare opportunity to live with such incomparable amenities. For further information, or to set an appointment to view these residences please contact 732-667-7870 ext. 302 or e-mail info@crccommunities.com. Copyright © 2006, CRC Communities, Inc.